Shortly after this week’s cold snap had some Mainers turning up their thermostats early, the Governor’s Energy Office said Wednesday that average residential fuel prices per gallon already are creeping up this season. The Energy Office’s weekly survey on Sept. 10 found that the average cash price for No. 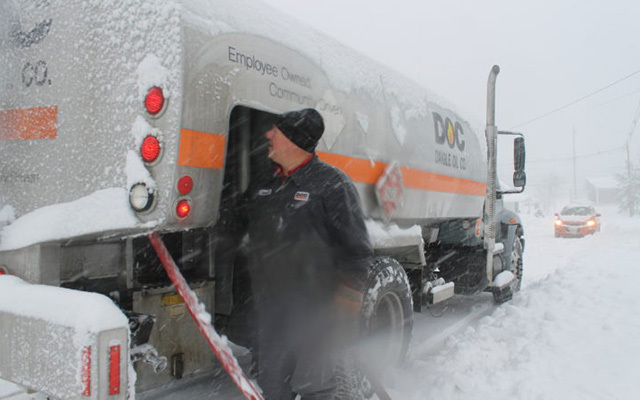 2 heating oil statewide was $2.77 per gallon, up 7 cents over a month ago. Kerosene was up 5 cents to $3.26 per gallon. Propane prices have stayed steady at $2.69. However, average residential heating fuel prices increased 12 percent for propane, 14.5 percent for kerosene and 24 percent for heating oil from September 2017 through August 2018. To read the rest of “Fuel prices shoot up as Mainers fire up their furnaces,” an article by contributing Bangor Daily News staff writer Lori Valigra, please follow this link to the BDN online.